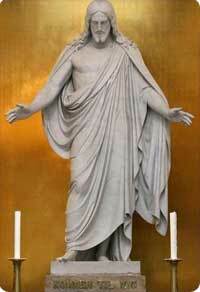 Christianity is a religion based on the basic premises relating to Jesus of Nazareth who is considered the Son of God. Catholicism is one of the several denominations of the main Christian faith and has the largest followers among all the Christian sub-faiths of Lutheranism, Protestantism etc. Catholics believe in the seven sacraments (holy moments) but other Christian denominations do not recognize all the sacraments. The seven Sacraments for Catholics are Baptism, Eucharist, Confirmation, Marriage, Ordination, Reconciliation/Confession and Anointing of the Sick. Catholics also assert that Saint Mary, Mother of Jesus was the greatest saint and did not sin but other Christians like Protestants do respect Mary as Jesus’ mother but believe that she sinned like anyone else. While Catholics believe Mary’s resurrected body went to heaven immediately, other Christians believe that the body was buried. Also, Catholics, unlike other Christians, believe in a spiritual leader of the Roman Catholic Church. He is known as the Pope and regarded as the direct descendant of Saint Peter the Apostle. Catholics believe that Jesus had asked St Peter to build the Basilica in Rome. You are necessarily a Christian if you are a Catholic but you may not be a Catholic if you are a Christian as you may believe in a different Christian denomination. Unlike other Christians, Catholics also believe in a spiritual and literal interpretation of the Bible. Catholics also believe in typology which accepts events in the Old Testament as allegories for events that follow in the New Testament. Catholics, unlike other Christians, are more strict about following the Scriptures word for word and are not very open to interpretations unless given by bishops. Moreover, Catholics believe that the end of the world as given in the Book of Revelations is not a metaphoric description but will actually take place in the future. Roman Catholics also believe in the process of confessions to a priest while other Christians believe in an inner dialogue with Jesus. However, all Catholics, like other Christians believe that Jesus is the savior of humanity and he died on the cross to atone for the sins of all humanity. Catholics and all other Christians believe in the Holy Trinity of the son, the Father and the Holy Spirit. Catholics also believe that Man retained some goodness even after the Fall in the Garden of Eden but most of other Christian sub-faiths teach that Man fell into complete depravity after the Fall. lanceaksh. "Difference Between Catholic and Christian." DifferenceBetween.net. October 17, 2017 < http://www.differencebetween.net/miscellaneous/difference-between-catholic-and-christian/ >. Catholicism is not the first Christianity. Orthodoxy is the first Christianity. The schism in 1046 created the Papal system in which the Catholic faith follows. Orthodoxy means it has never changed and is from the apostles. who wrote this shlock? –Obviously not a catholic! For anyone truly interested this is a real misrepresentation of the catholic faith. I am still a Catholic,my wife is becoming a Christian,and we are already arguing,there is some rights and wrongs on both sides,i am a good person,help my neighbour and those less fortunate than myself even though we are struggling financely,i help stray cats and dogs and all life in my area,but I am told that i’m still not going to heaven?????? Based on what you said, you are not going to heaven. It seems you’re depending upon the good person you are and the good things you do to get you into heaven. What about the thief on the cross, did he even have a chance to do good, after Jesus said “You will be with me in paradise”?? No because going to heaven is not based on what you do!!! Its based on what Christ did for you on the cross and what He did was enough. All you need to do is believe and accept Him into your life as your Lord & Savior. Christ doesn’t need you filthy rags. You are right on. The bible tells us to call know one father here on earth. Your Father is in heaven. And your best is fifty rags to God. But they seem to like most religion. Wear blinders like a mule. Hard headed like them to. All God wants us to do. Is live a life of love. Based on what you said, you said believing in God will get you to heaven. It is true but isn’t that something you do here on Earth? The person you are responding to is going to heaven and he will be rewarded in heaven for those good deeds. Yes, believing in him gets you to heaven but don’t you want to be the best person you can down here to show your commitment to him and the impact that he has made in your life? Ridiculous, how can God be such a jerk and let people burn in a lake of fire just for not believing in him???? This is why I left the church a long time ago. God is not capable of doing anything wrong. He is perfect and just. If people are freaking willing to die for Him, He must be incredible. And the persecutors will be judged for that. Satan had ahold of them and he has a hold of you. A Pastor once told me, “Don’t hate the team because of the fans”. So true. People may claim to do this, or that, in Gods name, but at the end of the day, if it isn’t found in the Bible, don’t go with it. Simple. Helping stray cats and dogs and helping your neighbor out financially or otherwise are very good deeds but those alone cant take u to heaven. The Bible says”without HOLINESS, NO EYE SHALL SEE GOD. You must avoid and repent and keep forsaking all sins and loving ur neighbors and stray cats and dogs to get to heaven. Jesus loves u and l do too. I was born and raised Catholic but am now a truly born again Christian attending my local independent Baptist church. Understand that infant baptism doesn’t make you a’born again’Christian. Read Mark 16:16 in kjv He that beliefeth and is baptized shall be saved but he that beliefeth not shall be damned. Belief comes before baptism. And RCC changed the word damned to condemned. So much more so please find your local independent Baptist church and chat with the pastor. All are regerated christians!! God bless you all!! You need to go back and study the Bible ,it didn’t promote gays, in the Bible it states that no man should lay with another man. Therefore it is a SIN to be gay! First of all the Catholic Church wasn’t the first church, secondly the Catholic Church broke off of the Jewish faith…your comments are typical of a Catholic….don’t know the facts or history…really sad how poor of a job the Catholic Church has done at educating their flock….of course, that could be on purpose as though if Catholics really knew the truth, most would leave the Catholic Church and become a Protestant. You know what disappointing? To see comments about this, discriminating another religion. Catholics and other religions don’t need to be discriminated for what they believe. They have their beliefs, you have yours. It’s not fair to go and say, “typical Catholic…doesn’t know the facts” because that is SO NOT true. This is extremely disappointing because when you said that God was looking down at you. I will pray that maybe one day you can appreciate others beliefs but for now, try to pray and understand. First of all, Catholicism, is a man made religion. you don’t change the Ten Commandments!!! you don’t alter the Bible to make it what you want it to say!!! There are not enough good works you can do in a lifetime that would EVER get you to heaven!!! We do agree that Jesus is the only way to receive eternal salvation (John 14:6). but i will tell you this, there is NO MAN worthy of telling my prayers to (confession), and calling Mary mother of God? that is absolute BS!!! Mary was no more Holy than I am!! i will never call any man Father as Catholics do…he is NOT WORTHY OF BEING CALLED FATHER. i have one heavenly father and one earthly father. And believing that babies must be baptized or they will go to hell???? You really don’t know the Christian faith at all. A child, or an adult, must reach an age of accountability where when they hear the “call of God”, they receive the Lord Jesus Christ as their personal savior. That is how you are saved!!! The act of baptism is simply a public recognition of your acceptance of Christ. The belief in Christ is a very precious, personal, unbelievable, overwhelming experience. The Holy Spirit then comes upon you and guides you through the remainder of your life. Once saved, ALWAYS SAVED. The Holy Spirit, given from God himself, makes us more aware of our wrongdoings…therefore, we want to do good deeds from then on purely because of the love we have received thru Christ Jesus. We want others to receive that wonderful FREE GIFT! And as far as marriage, it is a Holy Sacrament of God, but I personally know a Christian woman who’s husband participated in years of adultery under her nose, which led to divorce, and I know this woman is due to be blessed by God with someone who will love her again. She should not be punished for the sins of her spouse!!! Her husband, FALLEN FROM GOD, will be dealt with on Judgement Day, by Christ himself, and I would not want to be standing next to him on that day…. May I please ask what religion you practice? It seems as though you’re interpreting His teachings to fit your lifestyle. “Believe in Him and you’ll go to Heaven”. I killed a hundred people, but I believe in God so I am good to enter His kingdom? Confessing sins is not meant to be an easy task; that’s part of the point, I suppose. If all I have to do to be forgiven is say in my head: “I’m sorry, Lord”, I am forgiven and cleansed? I remember being told when I was a boy that if something sounds too good to be true, it probably is. Well i’m sorry that you aren’t educated so I will help. In the bible it’s says “the 3 in 1,” meaning Jesus, God, and the Holy Spirit. Not just Catholics believe in the Holy Trinity. The main difference I find is that the Catholic church changed the 10 Commandments. The ones, the I AM, gave to Moses are different than the ones in the Catholic bible. I am Jewish and I believe in Messiah Yeshua (Jesus) so when I first read the Catholic version of the 10 Commandments I thought of what Elohim, God, said “Do not change one yud,dot or tittle” least you be punished. I would not want that curse on my head. I asked Elohim, God, if that meant all the believers of the Catholic faith and led me to believe that the people that believe in His Son and received His Son as their Savior will suffer some sort of punishment but not eternal death, only because they were taught this by their leaders. Elohim, God, also reminded me that Numbers 17:1-11 He speaks of these things. He also reminded me that they must repent, but the leaders who led them astray will suffer eternal death just as the ones in Numbers 17:1-11. Many people teach that we are no longer under the Law, but Yeshua, Jesus, said I did not come to do away with the “Law” but to complete it. We still must follow the 10 Commandments (which is God’s Law). The Catholic’s did not change the commandments,I don’t know where you got your info but, you are totally wrong and should do more research before making such a false claim! The best way to see the difference between Biblical Christianity and Catholicism is to study the 5 Solas. Catholicism would reject these while Protestants would claim them as essential for salvation and life. To know the faith of early christians, please study the teachings of early church fathers. Irenaeus (130 -202) was student of Polycarp, who in turn was disciple of apostle John. He was the first church father to identify the four canonical gospels. Jesus never told us to divide ourselves in the name of religion (Christianity). It’s we people who created such denominations. There’s only one God, believe in him, accept him, and share all your sorrows and sicknesses with him. I really like it. It is very hard for me to explain even though I am a Christian and born again, I like to go to Catholic Church and pray and it worked for me. I do not know whether I am correct but it helped me when I am concerned on something. I like to know what others think about it.